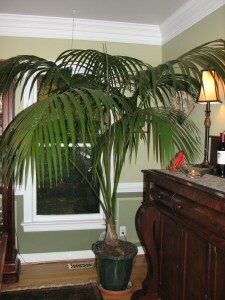 Growing tropicals and houseplants throughout my adult life, “green” has long been a part of my scenery. I have grown probably hundreds of different types of potted plants from African violets to zebra plants. 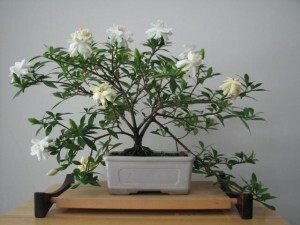 Exotics such as orchids and bonsai are also part of the current mix. It makes me sad when I hear people say they have a brown thumb, so in part two I’ll share some tips to help turn that thumb green. Besides their beauty and the wonderful living energy plants bring to a space, there are practical reasons for including plants in your decor. The presence of healthy plants in your home or office actually has been shown to lift the mood and spirits of the occupants. They actually do improve air quality by removing pollutants such as ammonia, formaldehyde, carbon monoxide, benzene, xylene and trichloroethytene. Plants also promote well-being by continuously absorbing carbon dioxide and emitting oxygen. In addition to the quantifiable benefits, there are advantages to growing plants that are purely intangible and psychological. Promoting a sense of well-being, houseplants brighten every room with their rich color. They reduce stress and produce a sense of calm, optimism, and are thought to promote creativity. The direct health benefits are also significant, especially in the winter when the air is dry. Plants increase humidity through transpiration and remove dust, thereby reducing the incident of coughs, colds, sore throats, and related illnesses. Ferns- squirrels foot and bird’s nest Dracaena Marginata – spiky form, a variegated cultivar for is wonderful for high light areas. Sansevieria or snake plant- your mom probably had one. Many new cultivars are available. They can be used dramatically in interiors by mixing cultivar. Ficus benjamina“Monique”- less prone to leaf drop. Seems counter-intuitive but tip prune to stabilize. 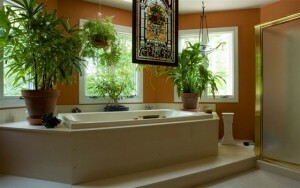 See “GREEN” YOUR INTERIOR WITH PLANTS… part 2 for tips on house plant care. Truely wonderful explanation. I would not live in a world with out planta thats for sure. Thanks Adam. Me too. Love our plants and the beauty and benefits they contribute! Plants in the home make for a happy space. I love the greenery. The Lily of the Valley is my favorite flower. Vicki–Thanks to you my brown thumb has successfully kept one plant thriving for over 30 years. The corn plant you gave me, less just say when we were younger, hits my ceiling and has actually bloomed beautiful, sweet-smelling flowers. I continue to receive comments and compliments on this one plant. 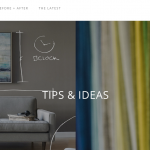 Thanks for your help and advice on keeping my greenry growing and enhancing my living space. Thanks Cindy. That plant has had a great run!